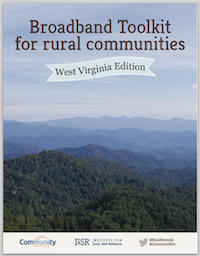 A year ago, the FCC accepted applications from entities seeking Connect America funds for rural broadband experiments. After provisional awards and some eliminations, Chanute's FTTH project, Chattanooga's EPB, and a number of additional cooperatives are now on the list of provisional winners reports Telecompetitor. According to the article, $27 million became available when 16 entities were eliminated for various reasons. It is Kline’s understanding that this $508,467 would be cost support for the city’s Fiber to the Home network over the next six years. It requires the city to become an eligible telecommunications carrier, and to finance and construct the fiber network. This money can be used to pay operational costs or offset a portion of the debt on the city’s investment in the local infrastructure over the next six years. Remember that Chanute has developed its fiber infrastructure incrementally over more than two decades. The community is moving ahead with its FTTH project to share the benefits of fiber with residents and more businesses after bringing better connectivity to schools, municipal facilities, and a growing number of businesses. Recently, the city applied for and received state approval to bond for deployment costs. A 1947 state law required the application be filed with the Kansas Corporation Commission, the state entity concerned with utility regulations. According to Kline, the city has also applied for eligible telecommunications carrier (ETC) status. This designation will allow the city, as a common telecommunications carrier, to obtain Kansas Universal Services Funds. On January 30, the FCC announced it will begin a process that makes Connect America funds available for pilot projects aimed at expanding broadband in rural areas. Details about the process are still forthcoming, but the FCC asks interested parties to submit "expressions of interest" by March 7th. In order to assist possible applicants, the National Rural Assembly's Broadband Working Group will hold a webinar today, February 13th, at 1:30 EST. The National Rural Assembly's Rural Broadband and Policy Group invites all rural stakeholders, to participate in a national webinar in cooperation with the Federal Communications Commission that will explain how to participate in the FCC's new experiment, the Rural Broadband Trials - a program that will fund projects to bring broadband to rural areas. Participation in this first phase is not mandatory but encouraged. The results from the expressions of interest process will help the FCC determine how much funding will be needed. You can register online for the free webinar. We reported last month on a decision from the FCC to make Connect America funds available to expand broadband. At the time we did not have much detail on the measure, but on January 30th, the FCC released its official statement. The agency reached a unanimous decision to open up Connect America Fund dollars for experimental projects. The FCC restructured the Universal Services Fund (USF) in 2010 to create the Connect America Fund. Until now, those funds were only available to large incumbents. Because some incumbents did not want to be bound terms associated with the funds, they did not take the money and so a portion of it has not been distributed. Specifically, the Commission’s order outlines a call for multiple pilot projects to examine how best to make the technology transition while preserving consumer welfare and promoting the widespread deployment and use of broadband networks. As part of those projects, the Commission, informed by recommendations of the FTTH Council, will be using “test beds” to experiment with different models of bringing next-generation high-speed broadband to rural areas. [Jonathan Chambers, the chief of the FCC’s Office of Strategic Planning and Policy Analysis] said the initial “expression of interest” isn’t a complex document. The FCC wants to hear who is interested in applying for support, what homes or institutions they want to serve and an estimate of the cost to get the job done.